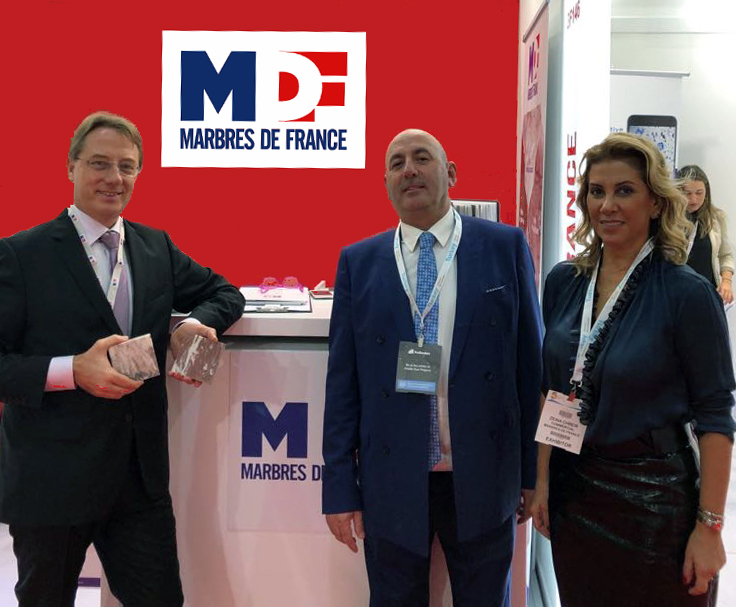 Marbres de France is participating for the first time at Dubai’s “The BIG 5” show, which is considered a major event in the construction and building sector. Mr. Chbeir, manager of the careers of Marbres de France, had the honor to receive Mr. Ludovic Pouille, Ambassador of France to the United Arab Emirates. We hope that this visit prefigures the success of Marbles de France during this show but also in the future during our future prospections in this region of the Gulf. Indeed, Marbres de France will now be represented in the Middle East by Mrs. Zeina Chbeir, CEO of CARRE D’ART whose offices are located in the United Arab Emirates.